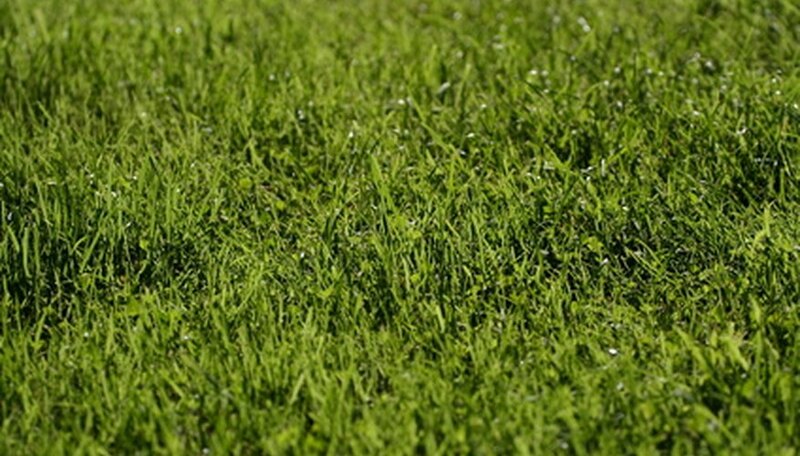 Bermudagrass is a high-temperature plant that can withstand drought. The perennial grass will brown during the winter months but come back to a lush green when daytime temperatures begin to exceed 60 degrees F. Preparing Bermudagrass for the spring should be part of a routine maintenance for general lawn care. The more preseason care given to the grass, the more responsive it will be during the hot months of summer for performance and overall appearance. Conduct a soil test for best results in correcting soil fertility and pH levels. Collect soil samples from various areas throughout the Bermudagrass lawn. Send those samples to your local agricultural extension service. You will receive the results in four to six weeks. The soil test will give you specific recommendations for your soil type. Attach a thatching blade to the lawnmower. Follow the manufacturer's instructions for correct installation. Run the mower over the Bermudagrass in one direction only. Remove the thatched material using the leaf rake. Collect the material and create a compost pile. The fully composted thatch material can be added back onto the lawn in the late fall after it has amply decomposed. Apply the recommended amount of nitrogen-based fertilizer to the thatched Bermuda grass. If no soil test was conducted, add 1 lb. to 11/2 lbs. per 1000 square feet for an extremely lush lawn. Apply no less than ½ lb. per 1000 square feet. Adjust the pH level if the soil is slightly acidic by adding limestone to the lawn. Bermudagrass will grow best in soil with pH levels between 6.5 and 8.0. Consult your local agricultural extension service for various pre-emergent herbicides to control weeds in the lawn. Not all varieties of Bermudagrass can tolerate similar pre-emergent herbicides for weed control.